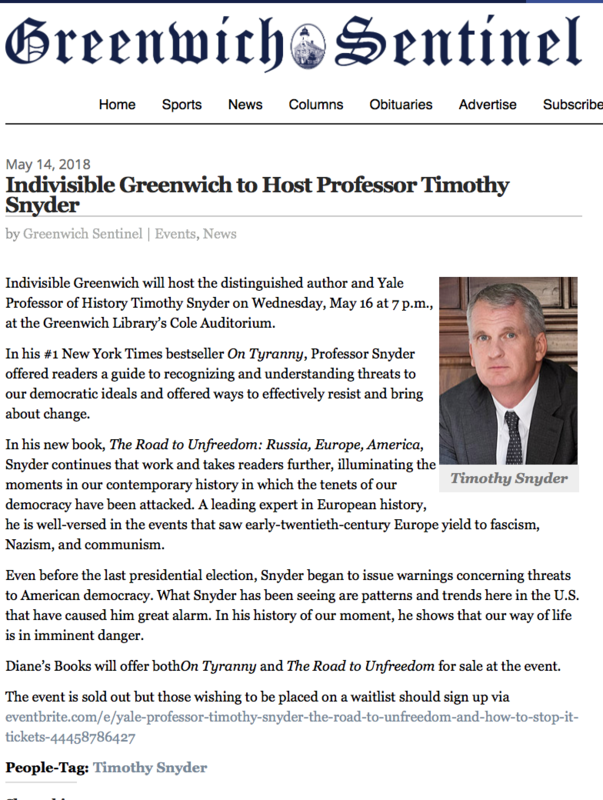 For our February 21, 2019 Statement regarding Trump's Emergency Order and how it violates the Constitution and threatens democracy, please click here for the Greenwich Time op ed or here for the Greenwich Free Press op ed. For our June 19, 2018 Statement on Separating Families at the Border, please click here. 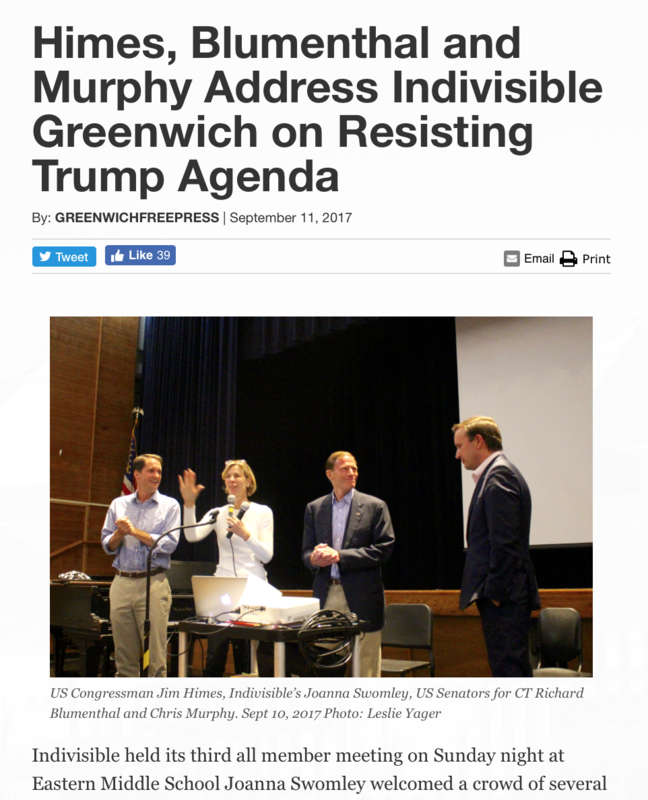 For our June 13, 2018 Op Ed answering the question posed by Greenwich Republican leaders -- how are our group and the Trump Agenda relevant to the Town of Greenwich -- please click here. 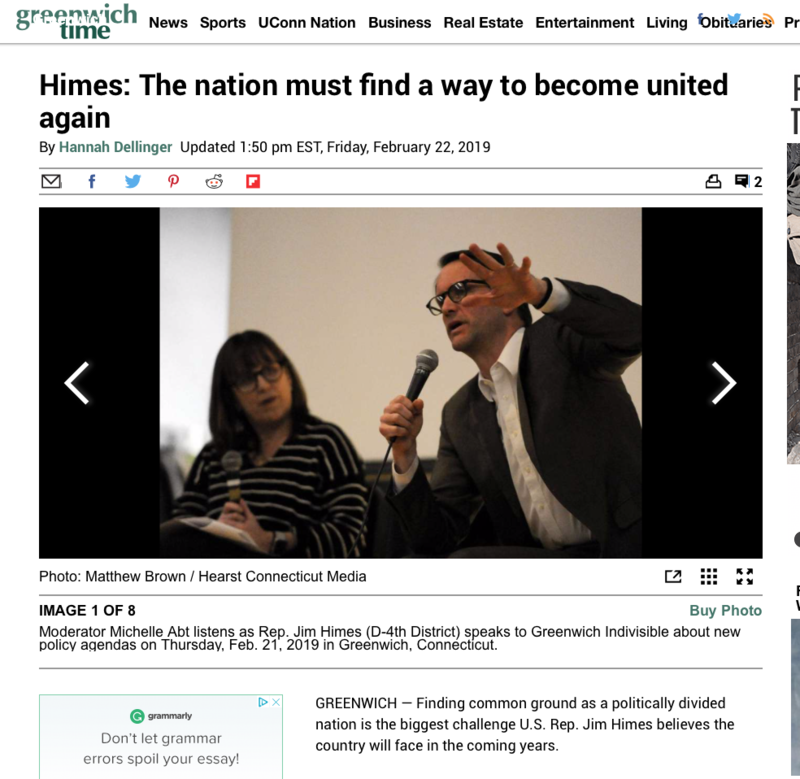 Feb. 2019 Rep. Jim Himes answers questions at joint Indivisible Greenwich/Indivisible Stamford event. For full article, click here. ​​Jan. 2019. 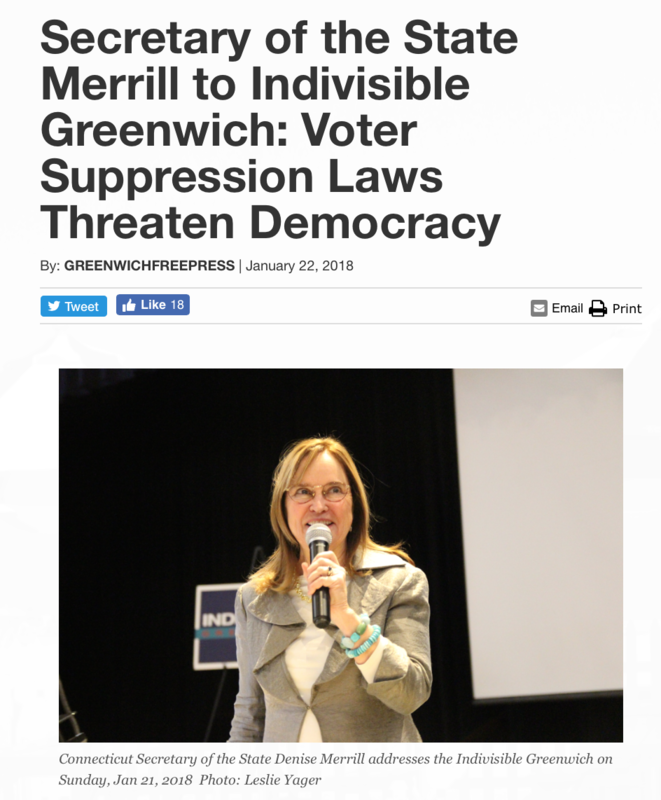 Indivisible Greenwich co-founder pushes for Early Voting Amendment at press conference held by CT Secretary of State Merrill. For full article, click here. Nov. 2018. Rep. Himes joined us for our No One Is Above the Law event following the forced resignation of the AG. For the full article, click here for full article . ​​Click here for full article. 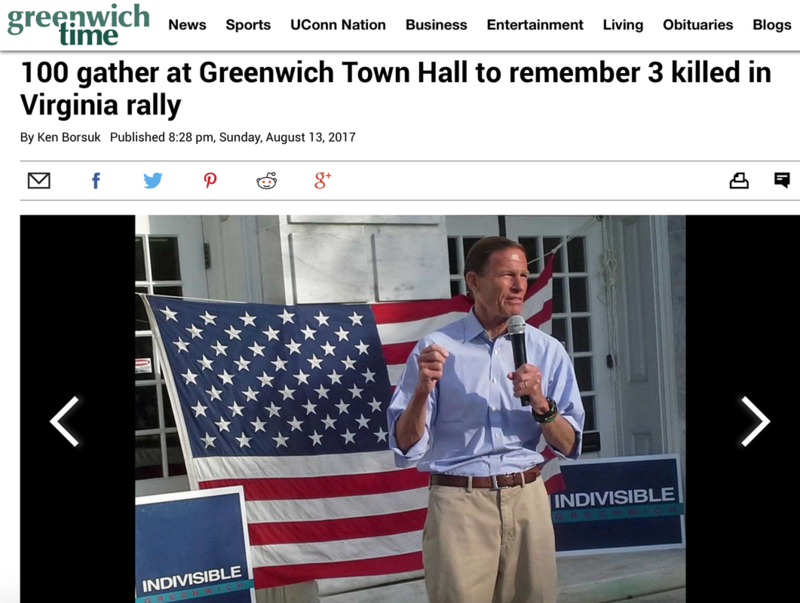 ​Click here for Greenwich Time article on vigil called by Indivisible Greenwich. Opposing Political Takeover of Board of Education.